Roger Ebert loved the movies. "I wanted to hug this movie," he said when reviewing Ghost World in 2001, and that sense of unbridled joy after witnessing something special onscreen is the first thing that comes to mind when I think of him. He began writing about films in 1967, and one of the most miraculous things about his career is that he never seemed to grow jaded throughout the many decades he spent watching them. Sure, he often despaired of the terrible pictures he was forced to endure on a regular basis, but he always searched for something good in even the worst of them, and he loved to highlight those moments that reconnected him with the magic of the medium. Lines like "Minority Report reminds us why we go to movies in the first place," "A film like Hoop Dreams is what the movies are for," or "Films like Fargo are why I go to the movies" were a common refrain. I've been reading those lines since I was a teenager. When I first tried to expand and deepen my film knowledge, Roger Ebert was the critic whose verdict I sought out after seeing a film, and he was the critic whose writing could compel me to seek out a picture I was unfamiliar with. When he wrote about a film, he didn't try to impress you with his vocabulary or ideas, he just wanted to reach you, to make you understand why a certain film made him feel this way, and hopefully prompt you into seeking out that experience for yourself. When news broke of his death on Thursday, the mass outpouring of grief and respect proved beyond all doubt how well he had succeeded in reaching us. He taught us how to approach movies, he taught us how to write about them, and ultimately he taught us how to live. "We are put on this planet only once, and to limit ourselves to the familiar is a crime against our minds," Ebert wrote, and he was someone who was always looking to share new discoveries with his audience. How many young filmmakers benefitted from his support over the years? He promoted foreign-language films to a mainstream audience in a way that made than sound accessible and relatable; he gave tiny independent films a level of exposure their publicity budget could never buy; he was a great champion of black cinema; he treated documentaries as an art form equal to narrative features. He and Gene Siskel almost singlehandedly pushed Hoop Dreams – a three-hour documentary about two inner-city basketball players – into the national consciousness in 1994, to the point where the Academy's failure to nominate it for the Best Documentary Oscar caused a scandal. Not everyone felt that Ebert's impact was for the best. Some argued that the "Thumbs Up/Thumbs Down" rating system devised by Siskel & Ebert on their enjoyably antagonistic TV show contributed to a "dumbing-down" of film discourse. This always struck me as an absurd suggestion, one that ignored the way he used his privileged position to broaden viewers' horizons and one that ignored the depth and range of both his writing and the writing that he loved to share. Ebert consistently railed against the dumbing-down of culture and he firmly believed that cinema was a medium that could unite us, open our minds and change the way we look at the world. "What I believe is that all clear-minded people should remain two things throughout their lifetimes: Curious and teachable," he said, and he was a living embodiment of that belief. If that was Roger Ebert's only contribution to the world then it would already be a remarkable legacy, but his life changed with a diagnosis of thyroid cancer in 2002. When further operations resulted in the partial loss of his jaw, it seemed like the cruellest imaginable joke – to take the ability to speak away from a man who lived to communicate. In fact, this twist of fate only made him an even more prolific communicator. The words that could no longer pass his lips came spilling out from his fingertips at a phenomenal rate, and his writing became more personal and heartfelt than ever. An old-school journalist who adapted to new media without skipping a beat, Ebert began using Twitter and his blog to go beyond the walls of the screening room and share different aspects of his life with us. He told us about his health problems and his struggle with alcoholism, he shared his spiritual and political beliefs, he talked about his favourite books and artworks, and he took numerous trips down memory lane. Most frequently, he paid tribute to the inexhaustible love and support he received from his wife Chaz. When Roger Ebert died many of us who had never met him felt the loss as if he was a close personal friend. He poured so much of himself into his writing, we felt we did know him. As I watched Roger deal with such an extraordinary succession of battles against the debilitating effects of cancer, I often wondered how I would cope under such circumstances. I don't think there's the slightest possibility that I would display a fraction of the courage and magnanimity that he showed right up until the very end. How many of us would choose to withdraw from public life in order to hide our difficulties and disfigurement from the world? Not Roger. He continued to appear on television unconcerned with the way his appearance had been ravaged by his illness – he was alive, that was all that mattered. He was still alive, still passionate, still curious and still stimulated by the exchange of ideas and feelings. It may seem strange to describe the death of a 70 year-old man who had spent a decade fighting cancer as a "surprise," but news of Roger Ebert's passing was indeed a terrible shock. Just two days earlier, as he announced the return of the disease, he had written of his plans for the website and his excitement at spending his remaining days writing about his favourite things. It seemed like he wasn't going anywhere just yet. It's hard to imagine a world without Roger Ebert. He has always been a presence in our lives and his passing seems to mark the end of an era in journalism, but look at the treasure trove he has left behind. We still have his invaluable archive of reviews and blog posts, as well as his many books and the television clips that exist online, but above all else there is the piece of him that will reside inside every aspiring film writer who ever drew inspiration from his work. In 2001, Ebert wrote an obituary of fellow critic Pauline Kael and he observed that, "...her spirit and passion were still being echoed in the words of a generation of film critics she influenced. She changed the way we talk about movies." I don't think I can come up with a more apt description of Ebert's own influence on cinematic discourse than that. 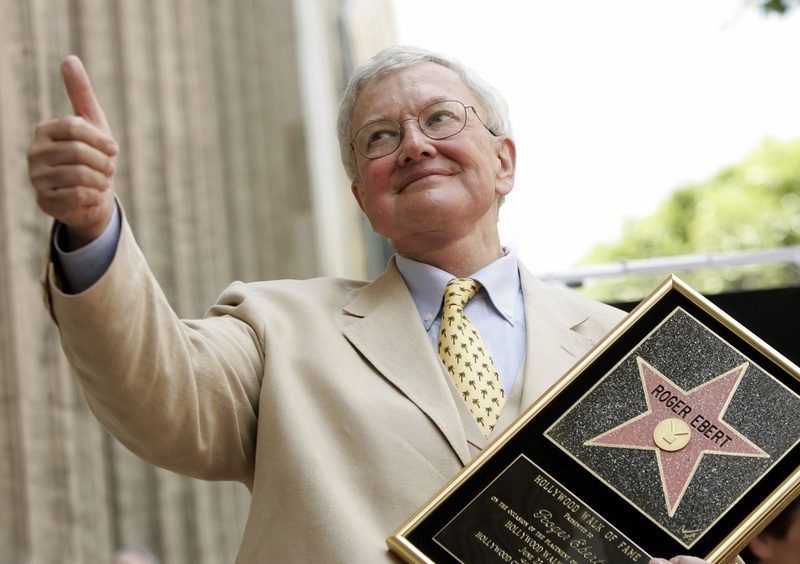 Of course Roger Ebert wrote his own best epitaph – are you at all surprised?